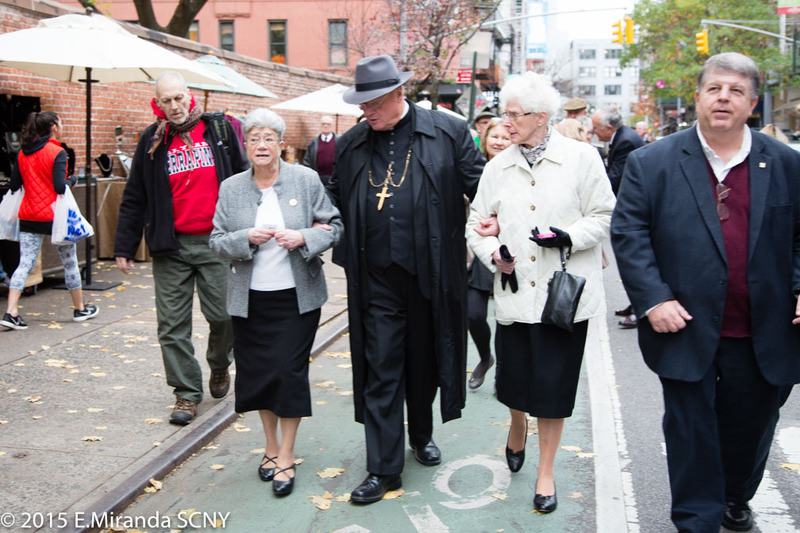 The following article, written by Cahir O’Doherty, was published on the website irishcentral.com on Nov. 25, 2015. 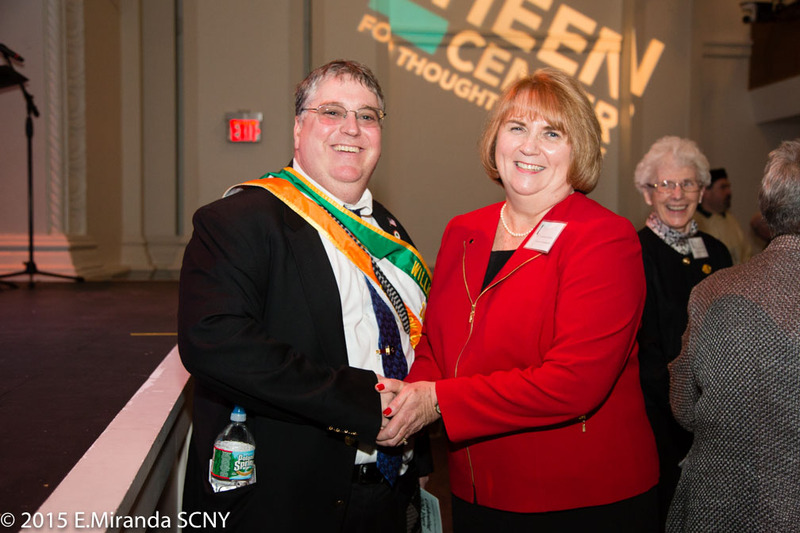 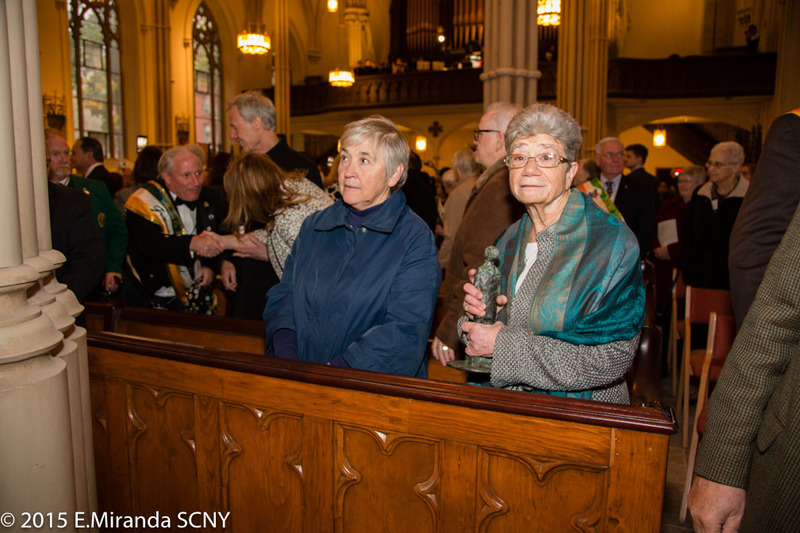 Two remarkable Irish bicentennials were celebrated simultaneously on Sunday, November 22: the completion of St. Patrick’s Old Cathedral in 1815, and the arrival of the Sisters of Charity to New York in 1817. Adapted from the exhibition “How the Nuns of New York Tamed the Gangs of New York” by Turlough McConnell and Elizabeth K. Martin, the Sheen Center on Bleecker Street in Manhattan, just one block from the Old Cathedral, was the perfect stage for a luminous theatrical celebration of their dual achievements. 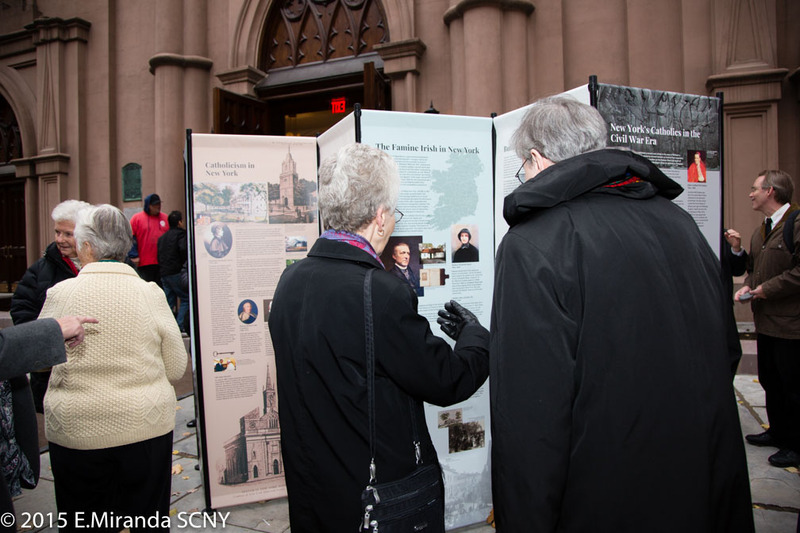 The cathedral opened and the Sisters arrived in Manhattan within two years of each other between 1815 and 1817, the latter group arriving at the behest of Elizabeth Ann Seton, herself a onetime New Yorker. 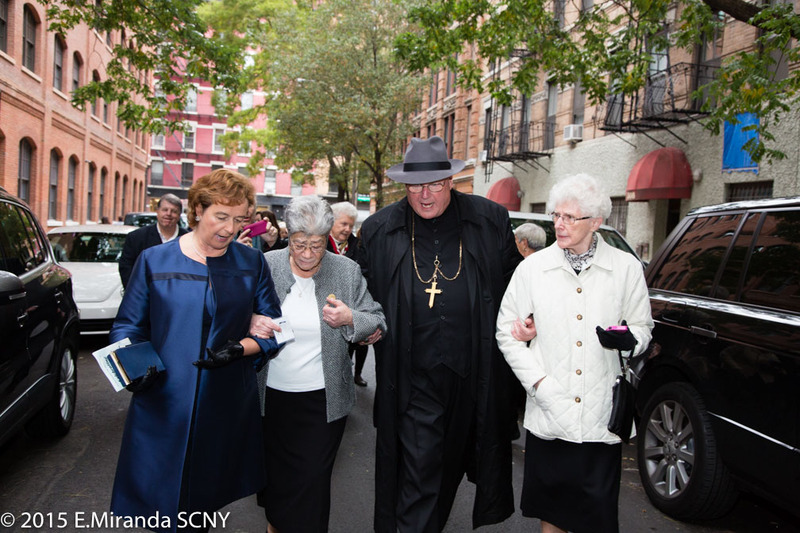 On Sunday, 200 years later, Cardinal Timothy Dolan, the 10th archbishop of New York, blessed the newly restored Basilica and unveiled a spectacular new bronze memorial to the city’s first Archbishop John J. Hughes created by sculptor Rowan Gillespie, who attended the performance and the blessing. 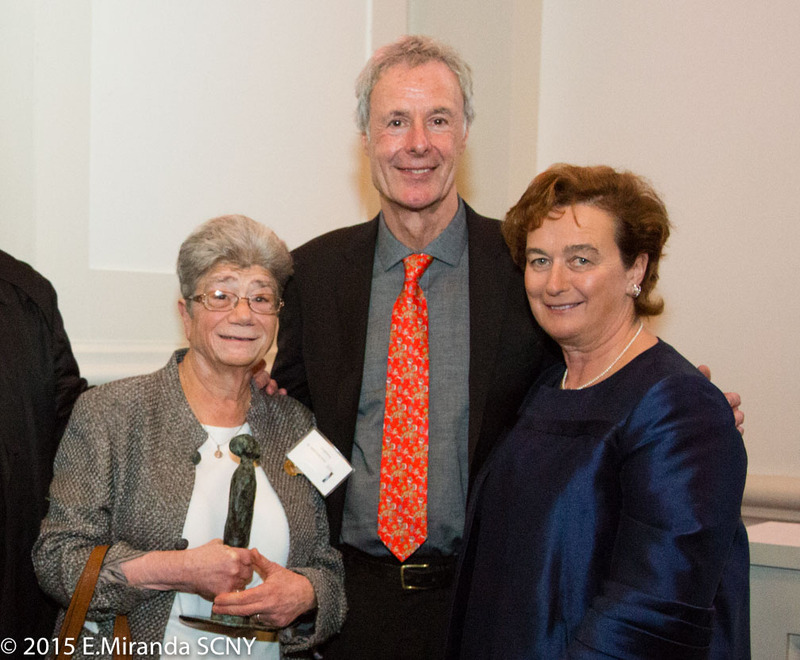 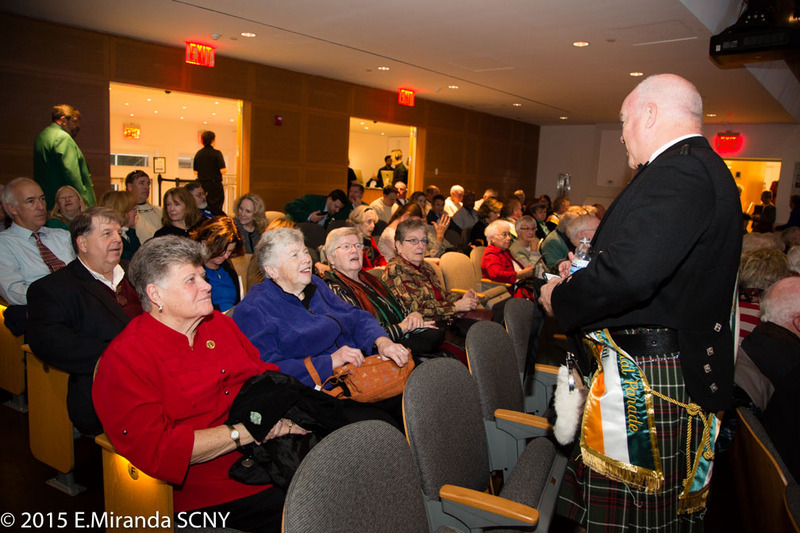 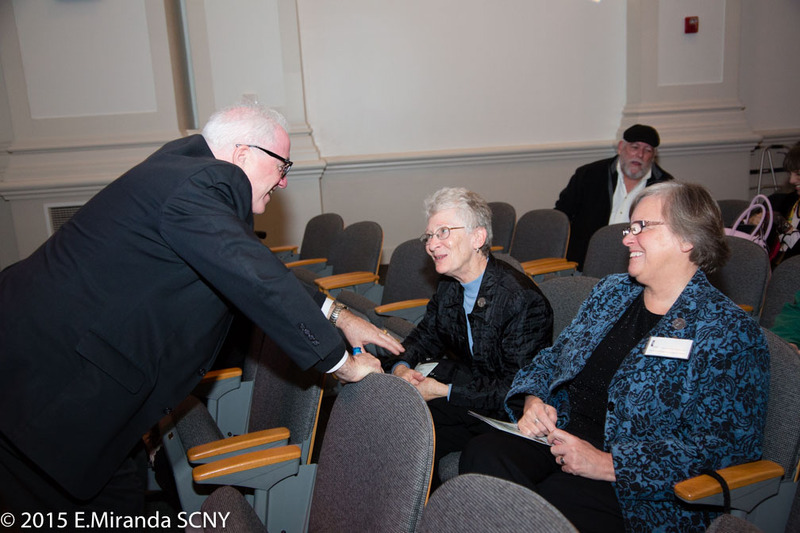 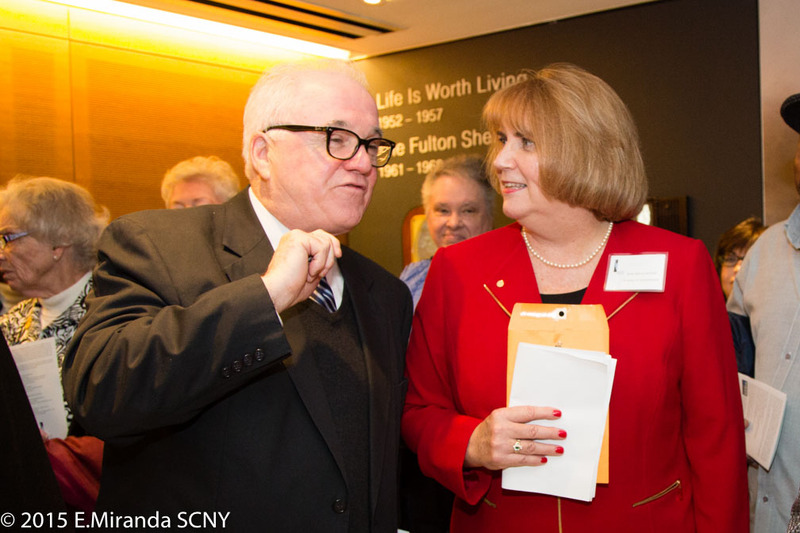 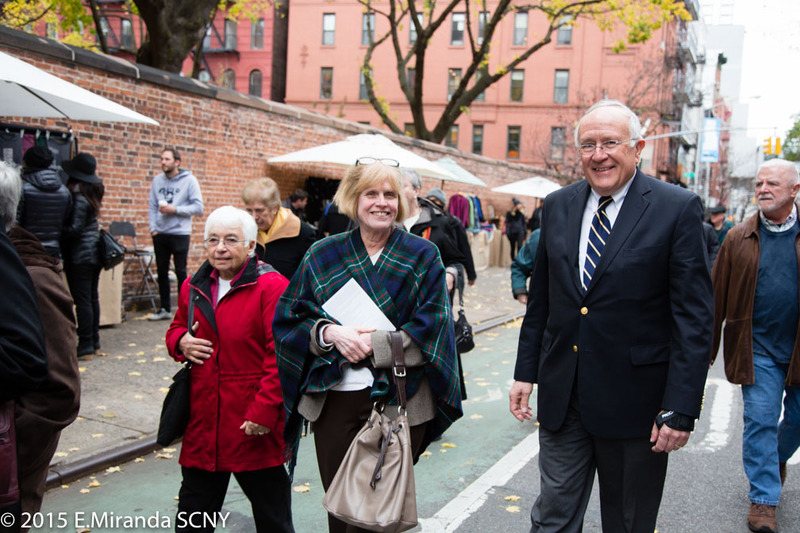 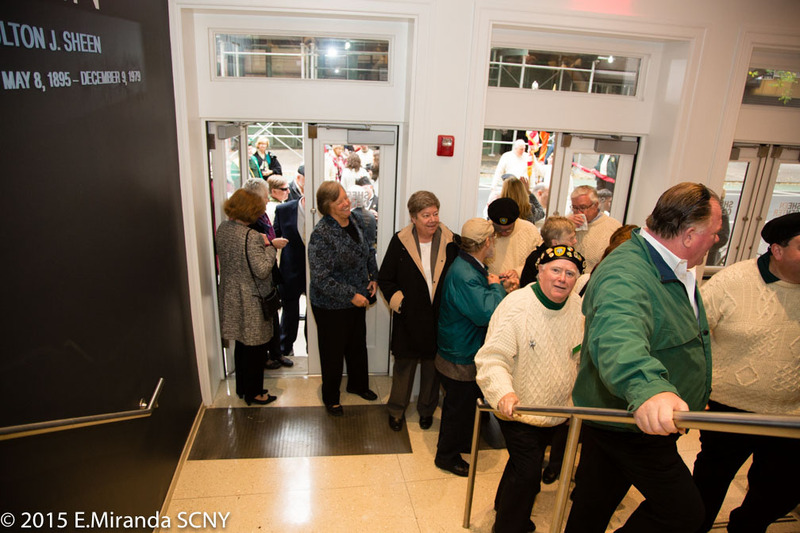 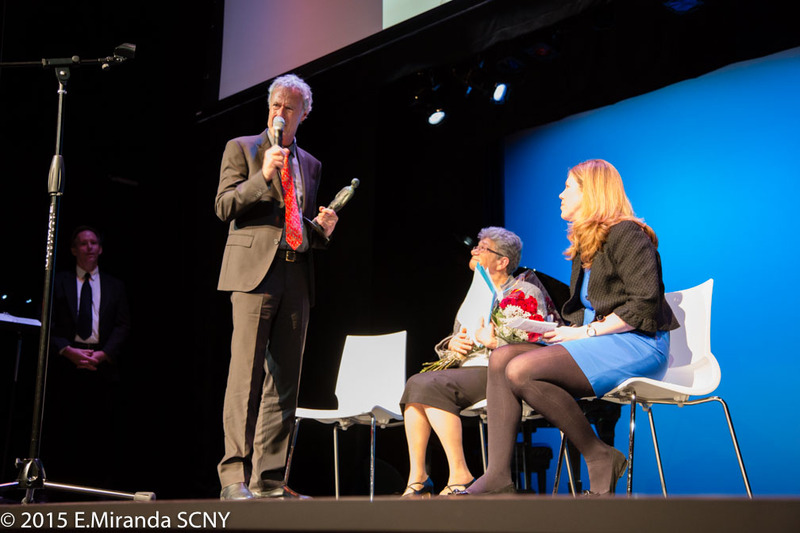 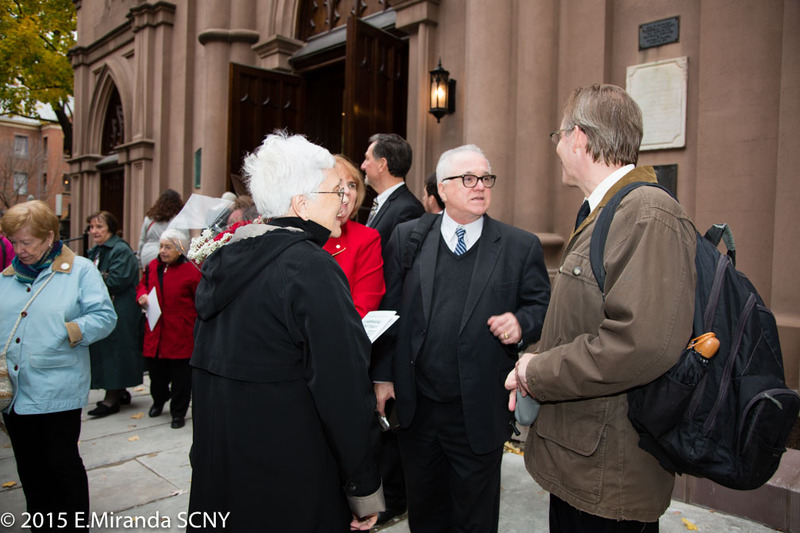 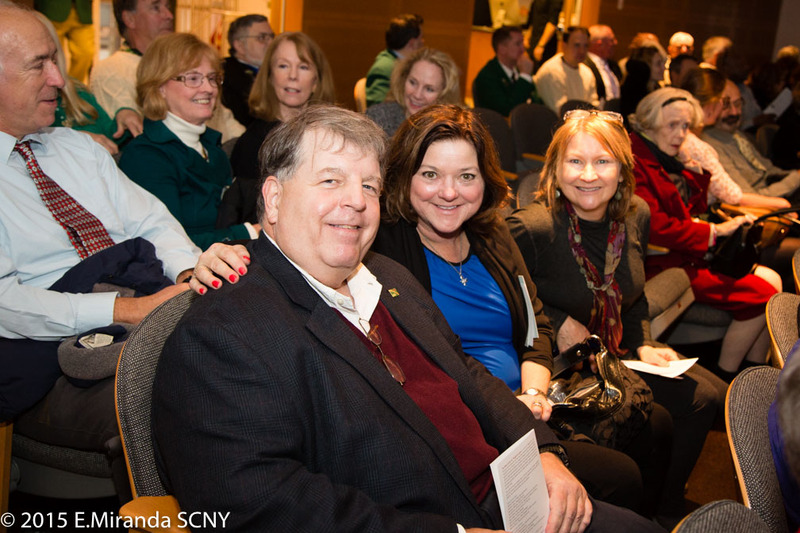 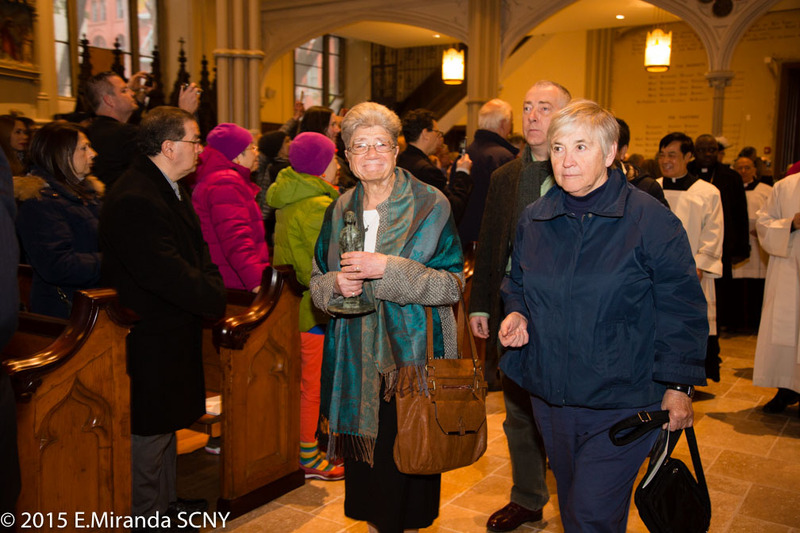 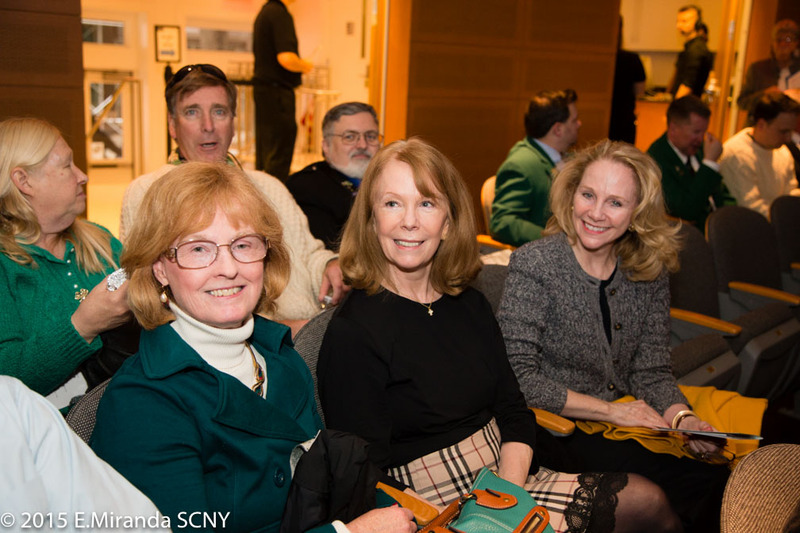 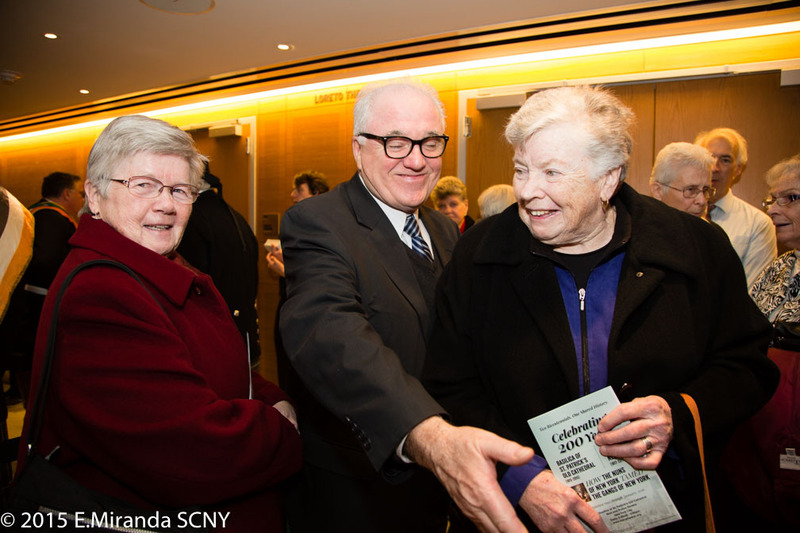 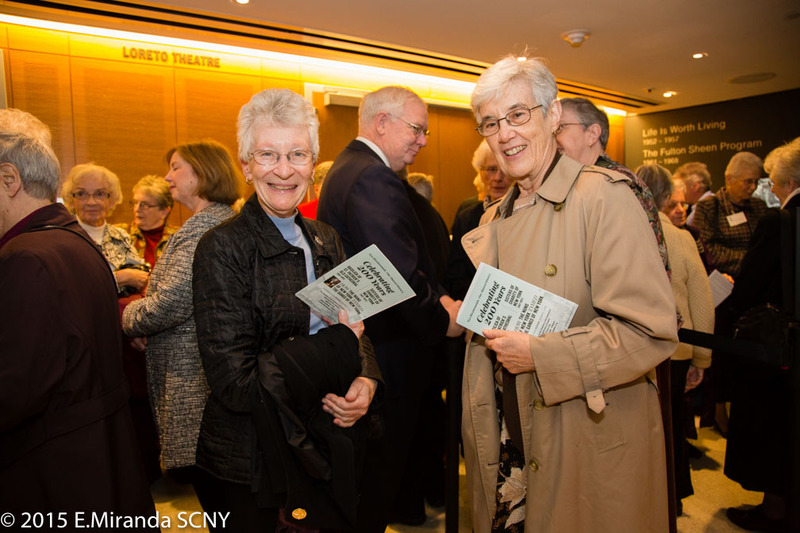 At the performance narrators Neil Bradley and Carey Van Driest said it was Pope Pius VII who established the Diocese of New York in 1808, in response to the population surge spurred on by immigration. 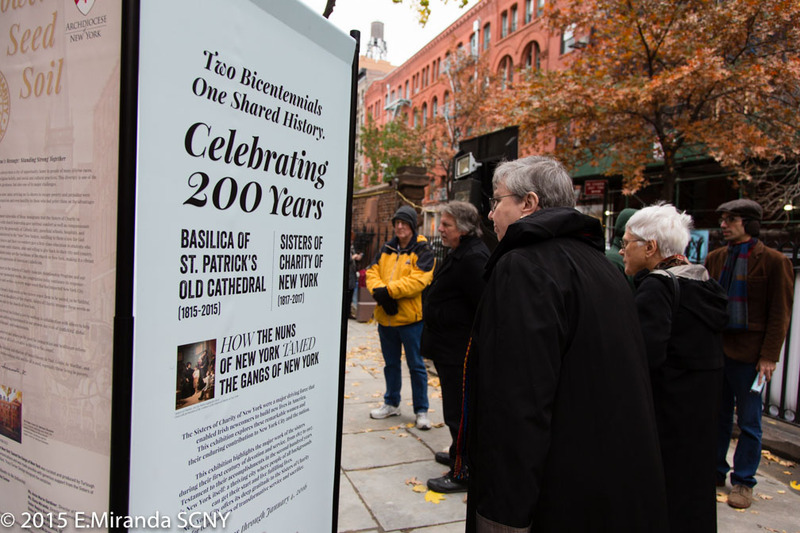 St. Patrick’s opened in 1815 as the spiritual home for about 35,000 Catholics of French, Spanish, German, and Irish origin. 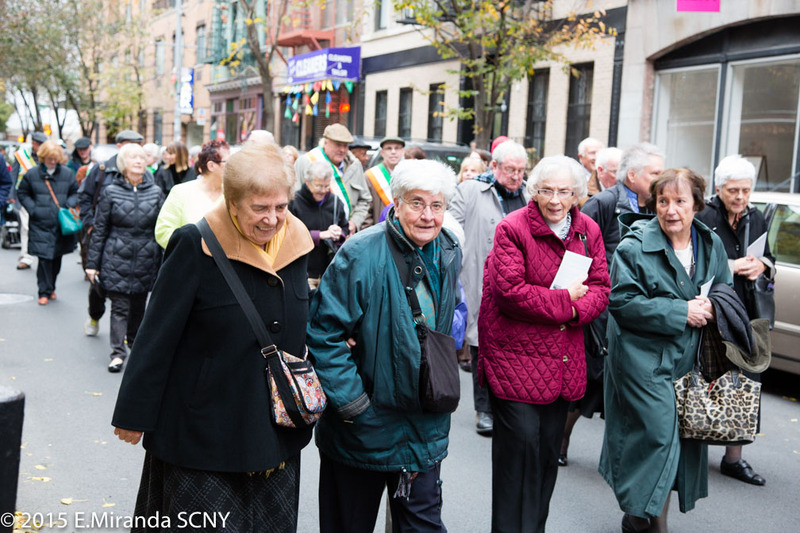 “Areas such as Five Points, near City Hall, overflowed with impoverished Irish and exploded with crime and prostitution,” the narrators announced. 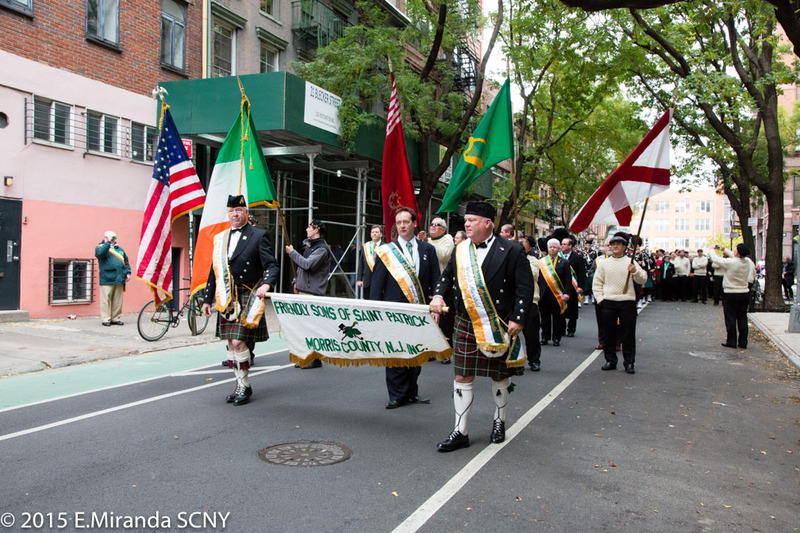 In seven years between 1845 and 1852, the narrators said, the potato crop failure in Ireland saw over one million Irish die and another two million flee the country. 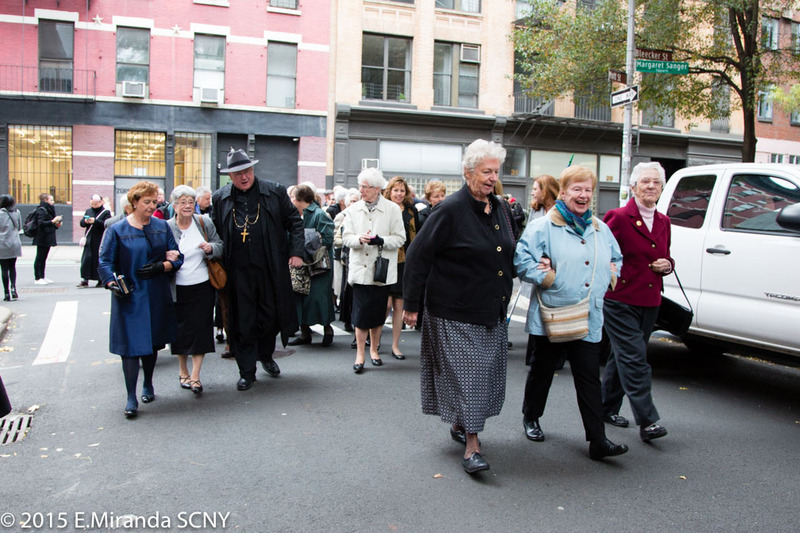 They flooded into New York City. 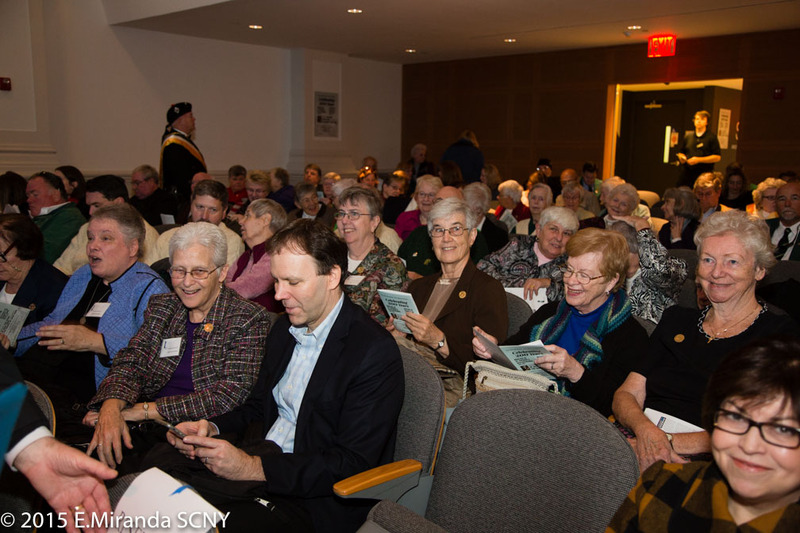 At least 50,000 arrived in 1847 alone. 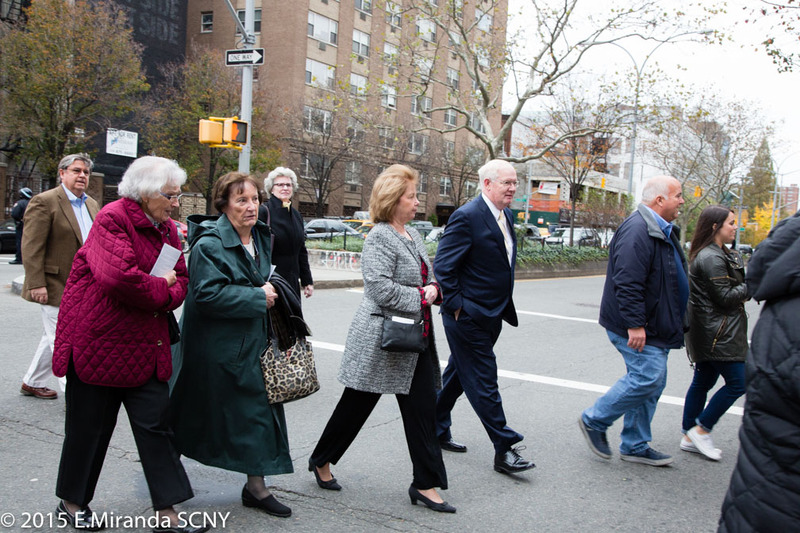 These desperate immigrants quickly disrupted the longtime dominance of New York’s Anglo-Protestant elite, who responded with an anti-immigrant nativist backlash that has depressing echoes in 2015. 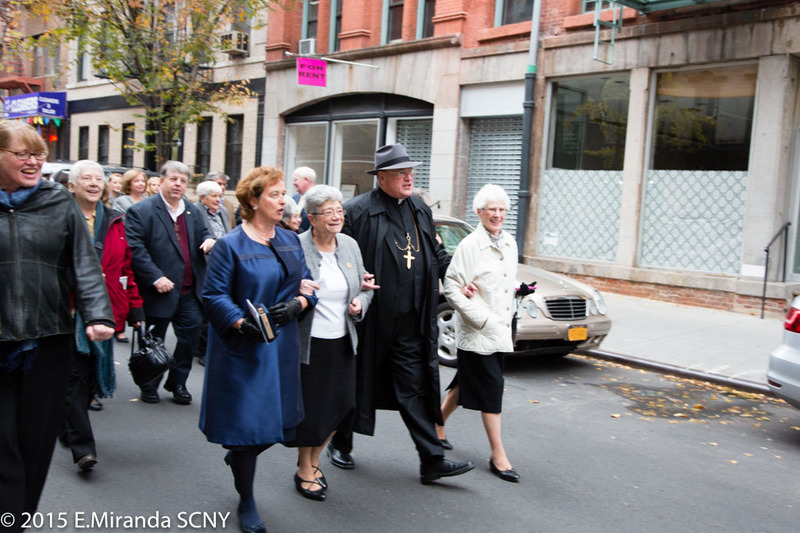 But the champion of Irish immigrants was Archbishop Hughes, who helped bring an end to the worst persecution and intolerance in the city. 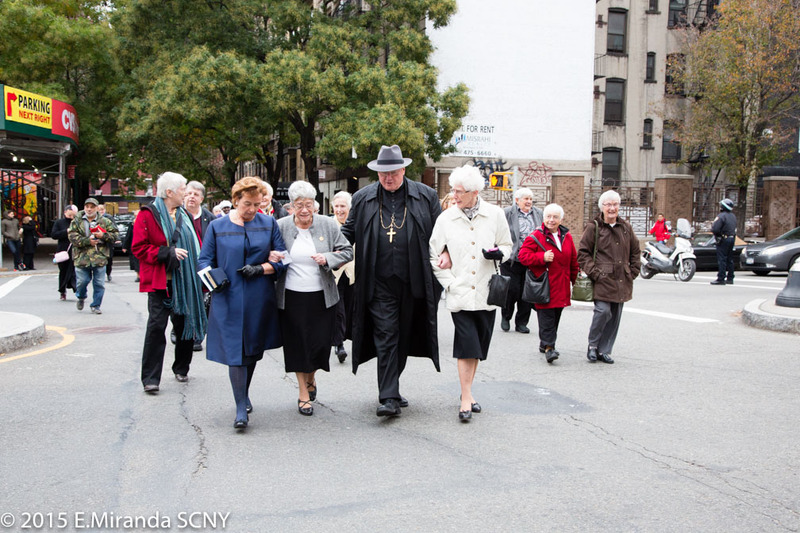 Hughes understood that in order to thrive New York’s Catholics would require schools, orphanages and a hospital. 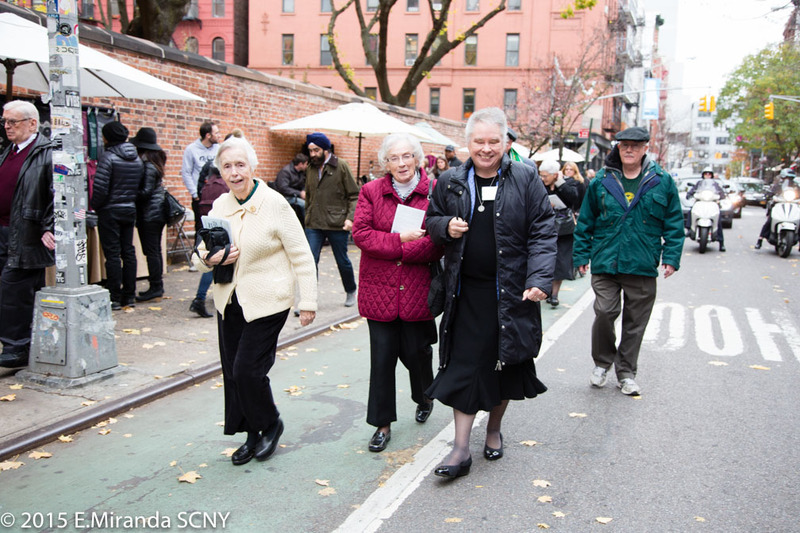 It fell to the Sisters of Charity of New York to become the agents of this change. 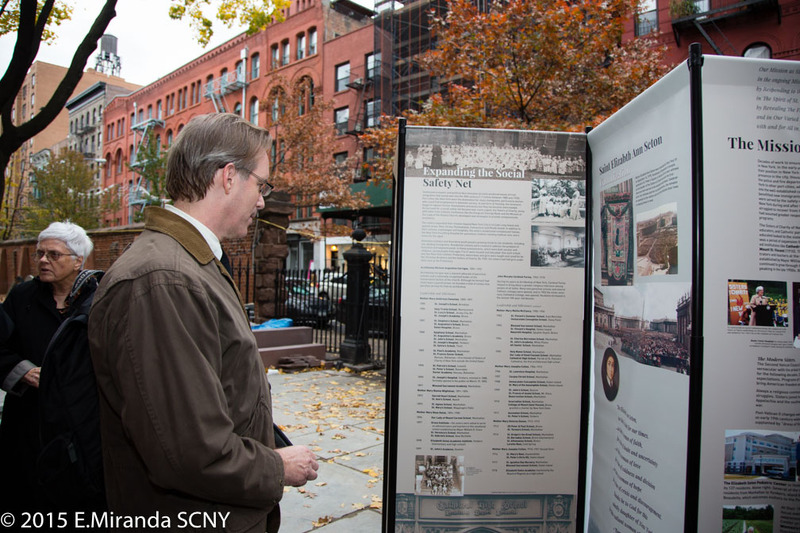 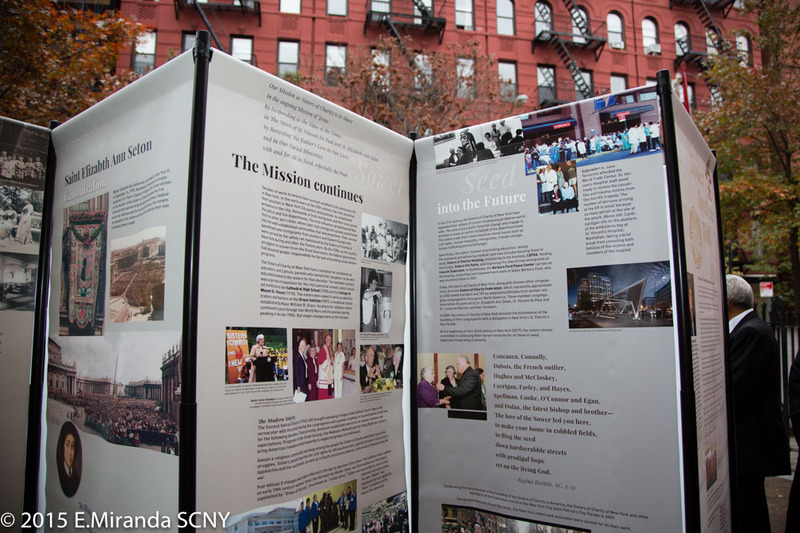 In its long and remarkably distinguished history St. Vincent’s responded to the cholera epidemic of 1849, the Triangle Shirtwaist Factory Fire of 1911, the treatment of Titanic passengers in 1912, and it opened the first and largest AIDS ward on the East Coast at the height of the crisis in 1984. 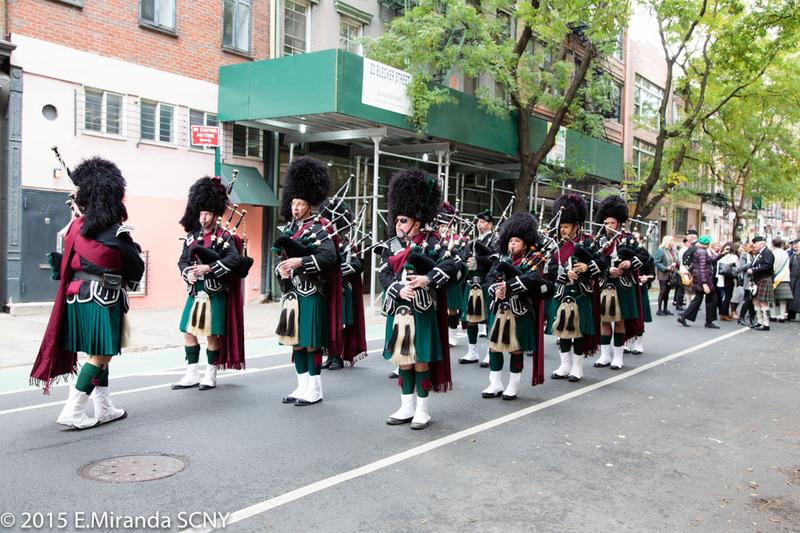 Later it would serve as the first triage hospital following the terrorist attacks on the World Trade Center on 9/11. 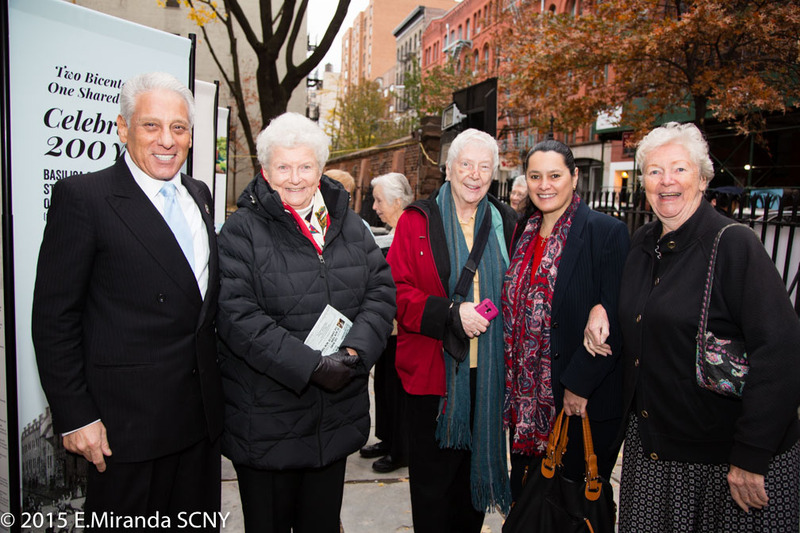 The schools run by the Sisters continued their long tradition of educating the working class of New York for two centuries, along the way inspiring great artists like playwrights Eugene O’Neill and John Patrick Shanley and film director Martin Scorsese. 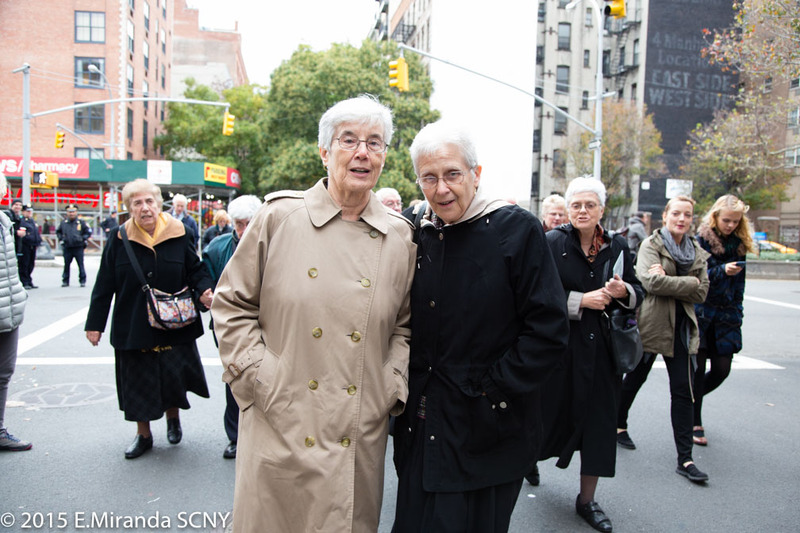 Now in the 21st century, the Sisters have expanded their sphere of operations worldwide, still weighing in on issues of civil rights, income inequality, immigration and world hunger. 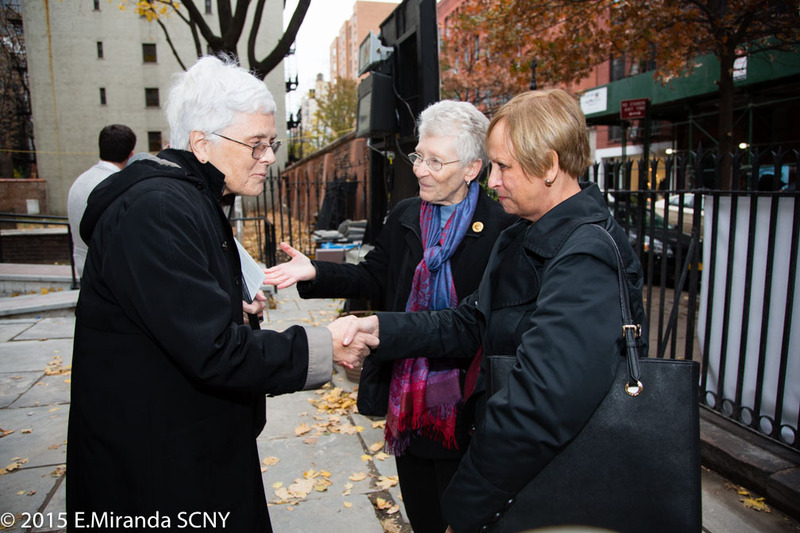 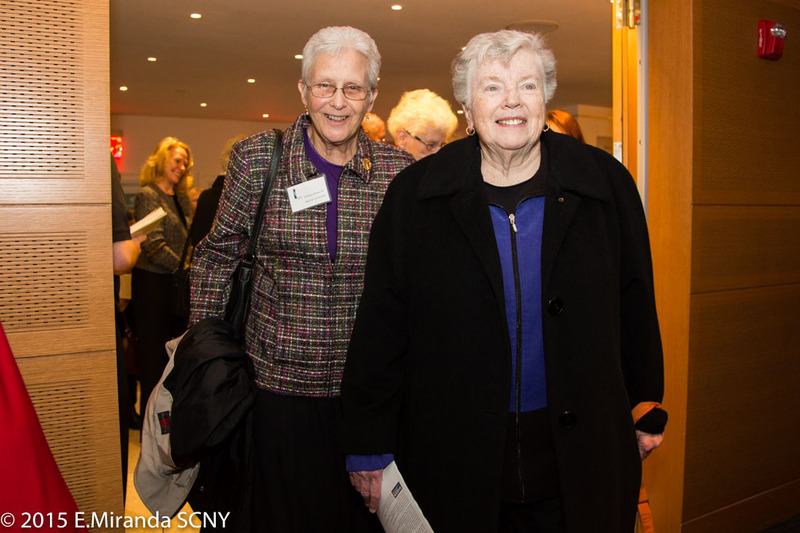 Today the Sisters (along with 12 other orders) form the Sisters of Charity Federation, which represents approximately 4,000 vowed members and 700 lay associates from congregations throughout North America. 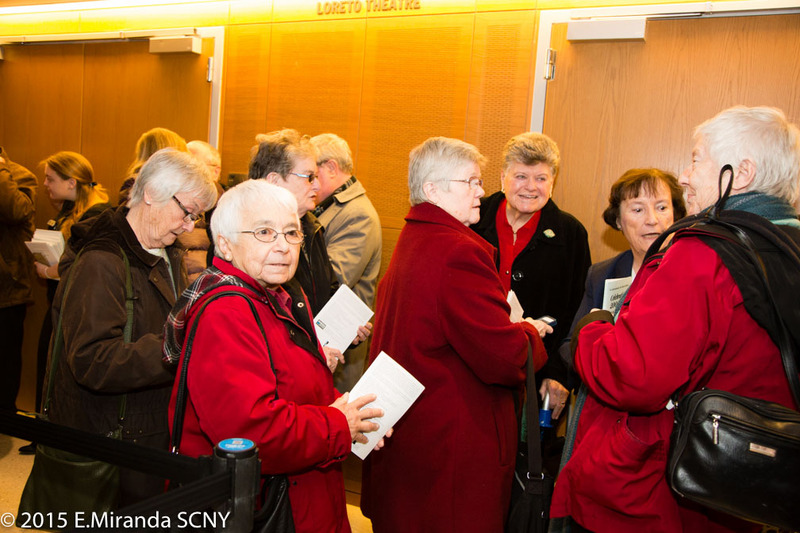 These members all follow the path originally set by St. Elizabeth Ann Seton, St. Vincent de Paul and St. Louise de Marillac. 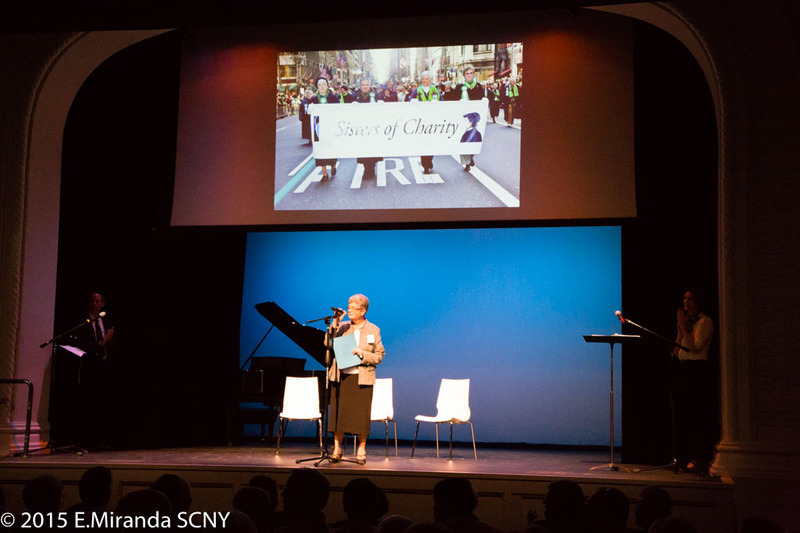 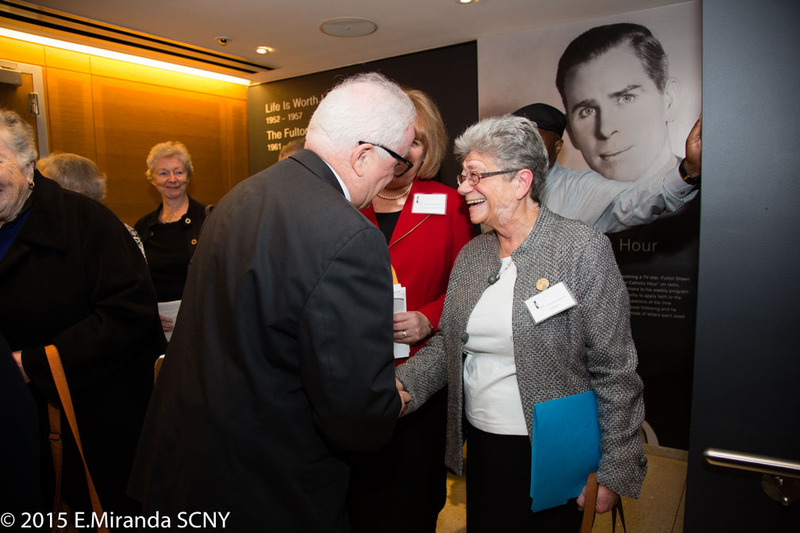 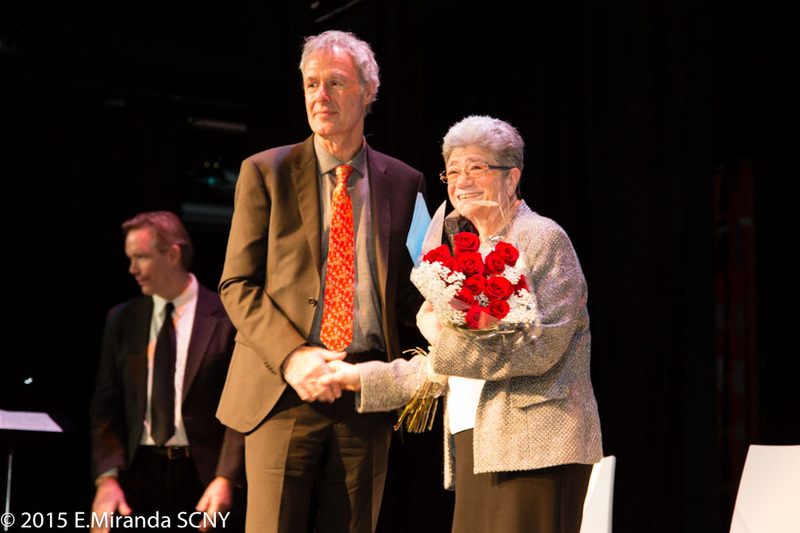 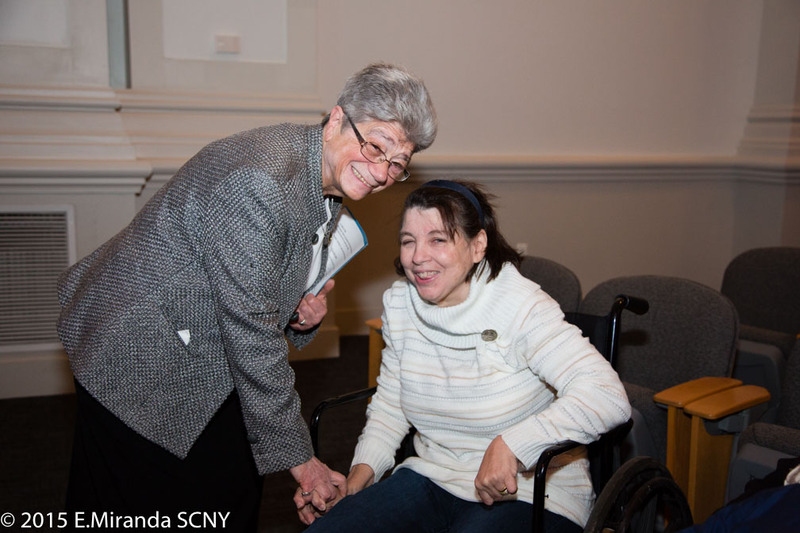 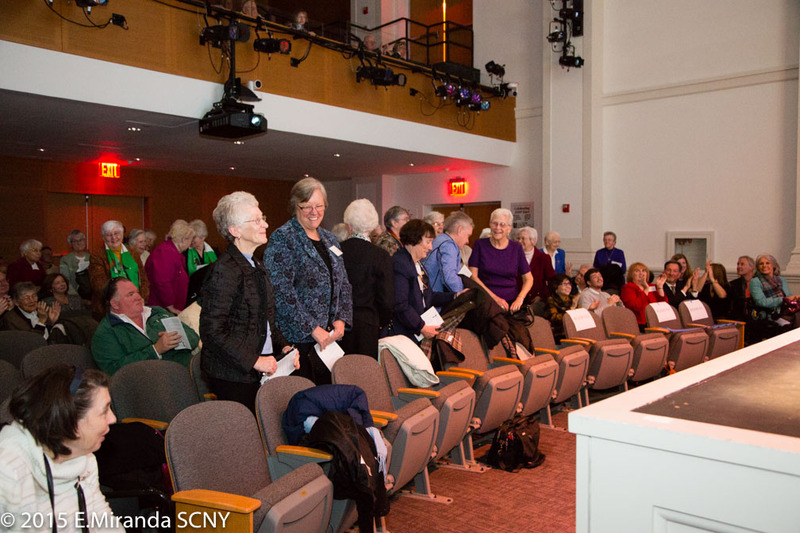 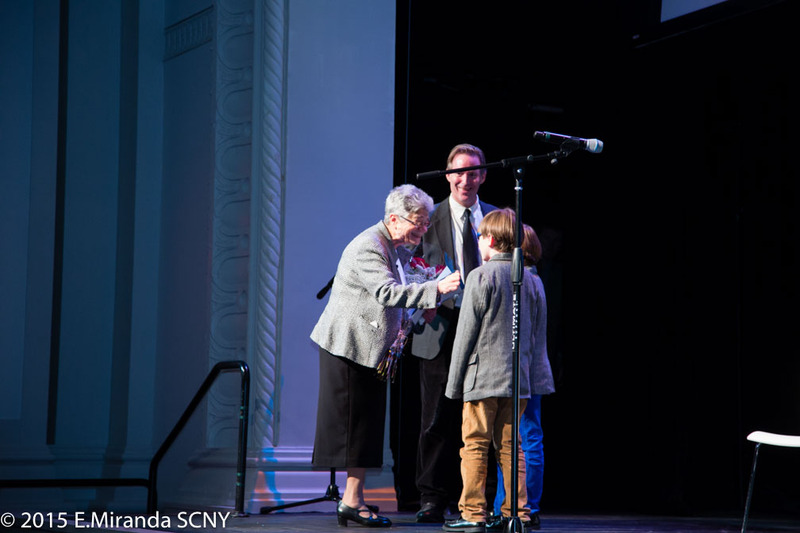 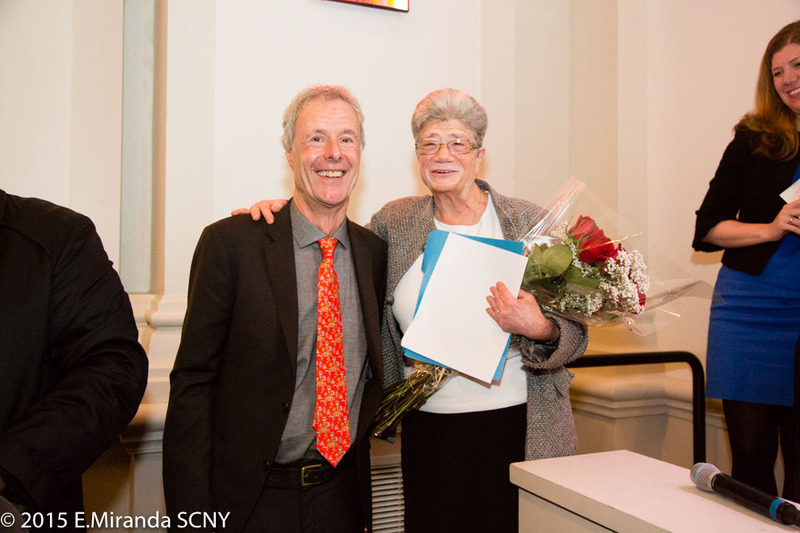 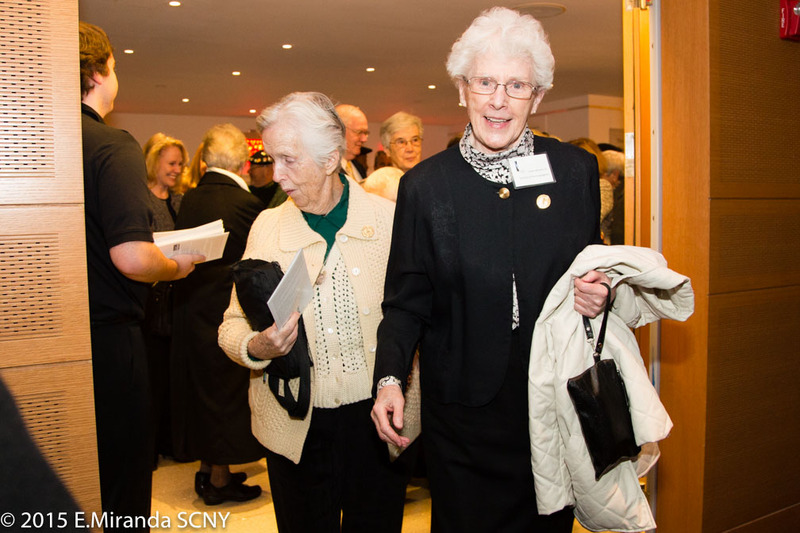 The performance on Sunday concluded with a celebration of Sister Jane Iannucelli, who was elected president of the Sisters of Charity on April 30, 2011. 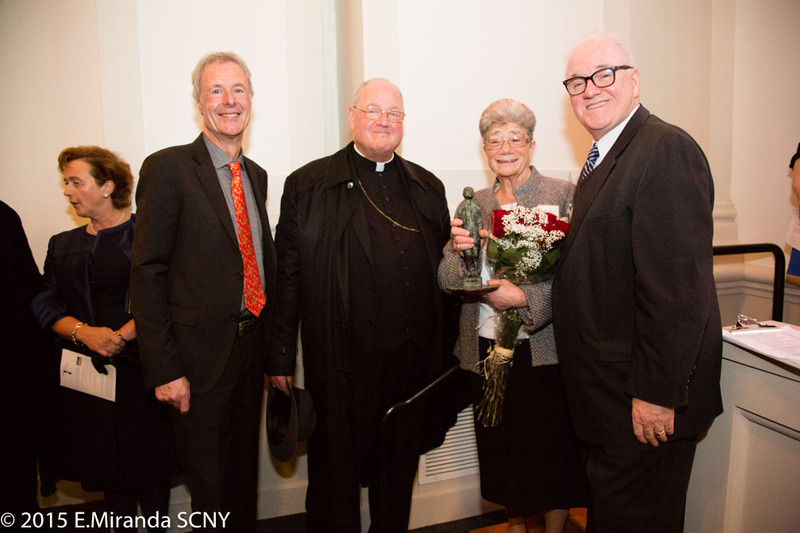 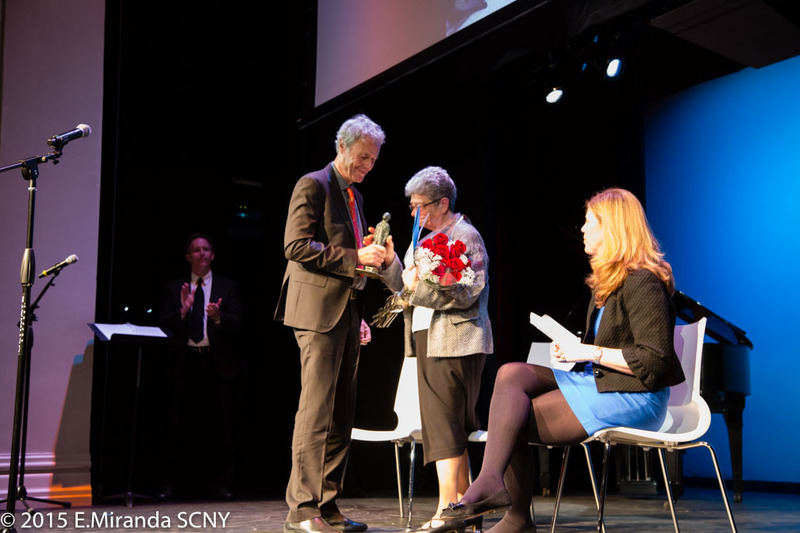 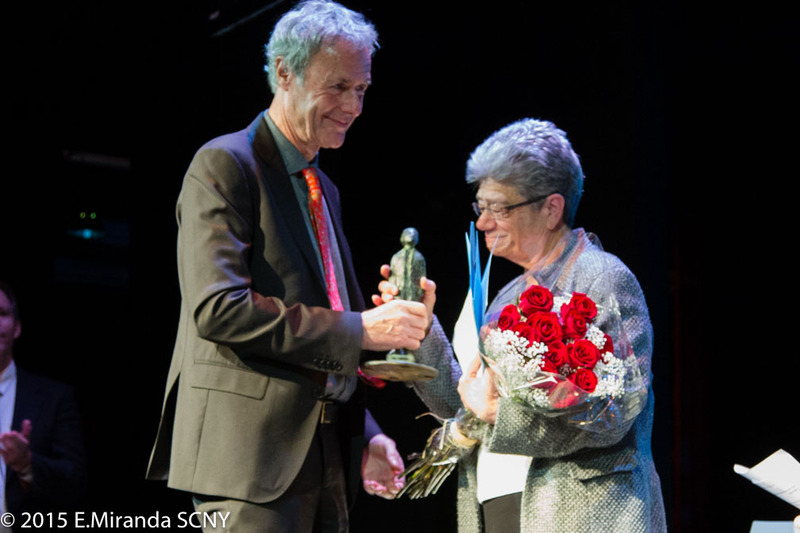 Iannucelli was commended for her breadth of experience in education, pastoral care, health care and social service settings, as well as in congregational leadership and formation roles. 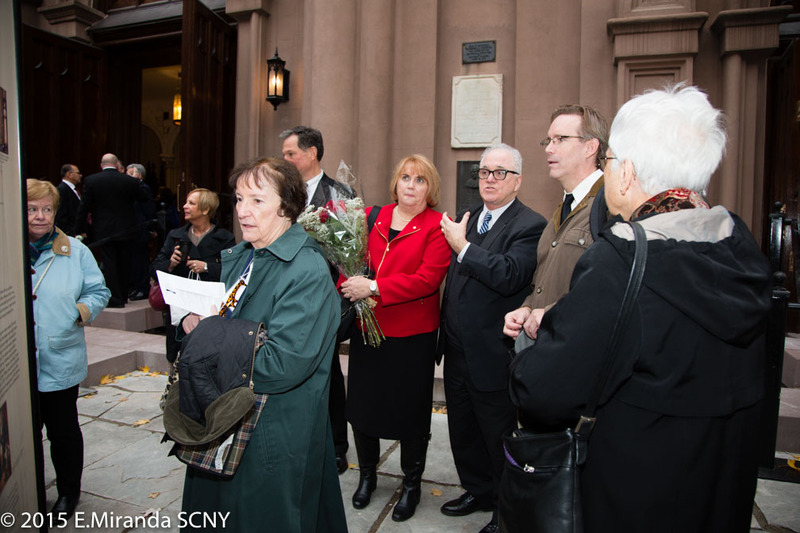 The event concluded with the unveiling of the bronze memorial to Archbishop Hughes by Rowan Gillespie. 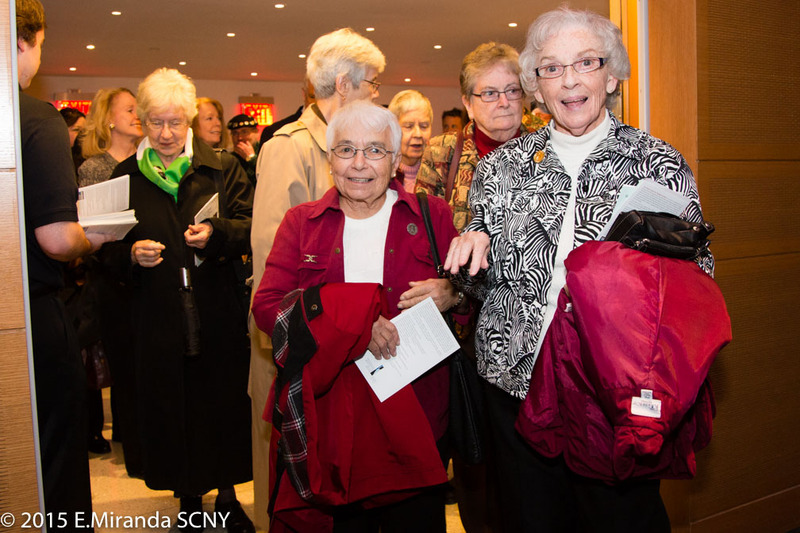 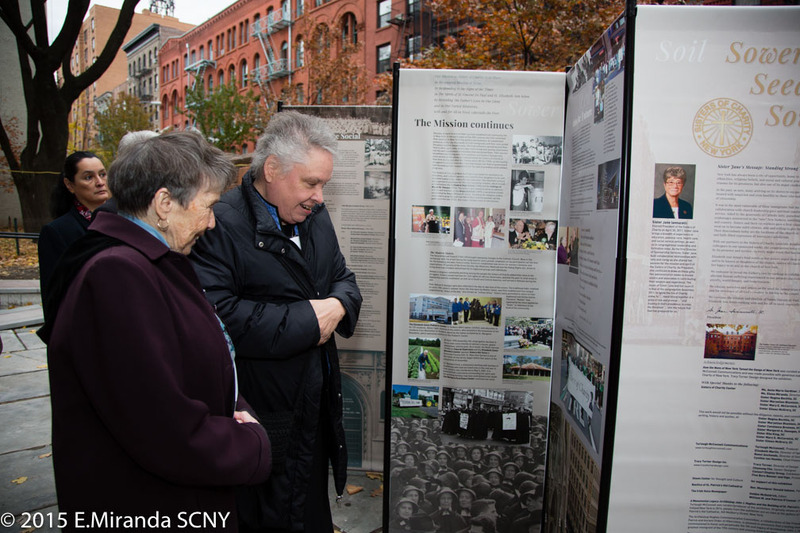 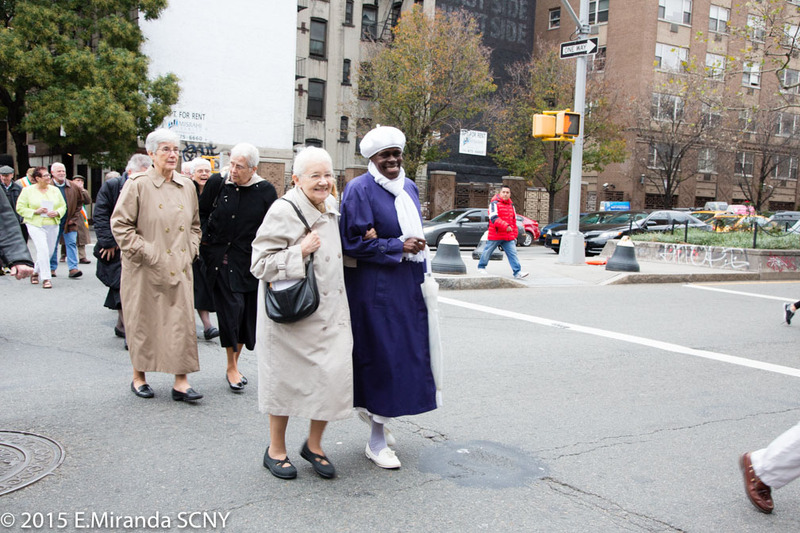 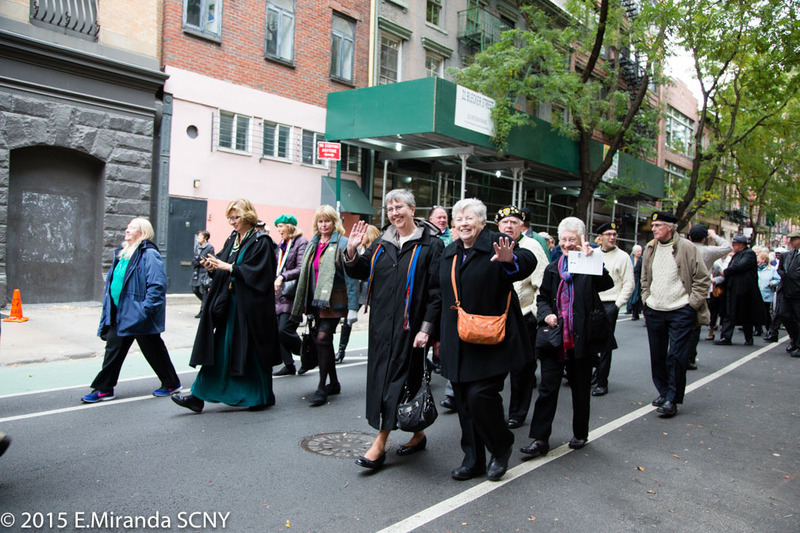 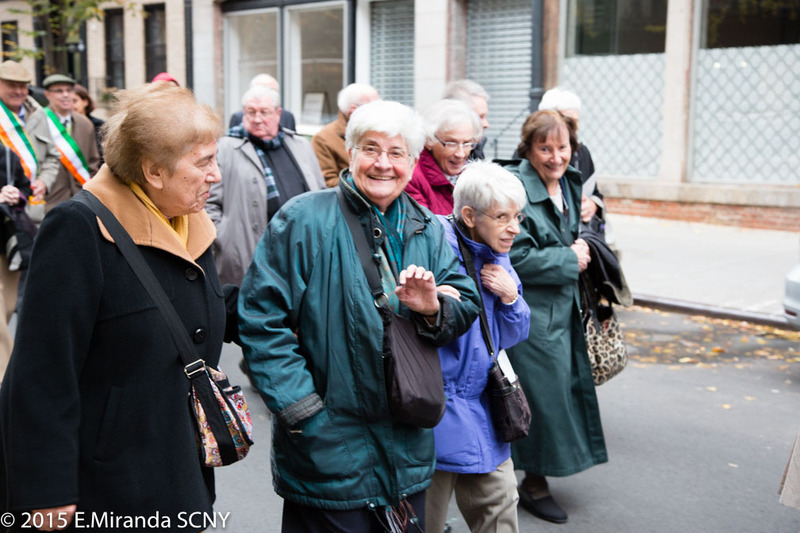 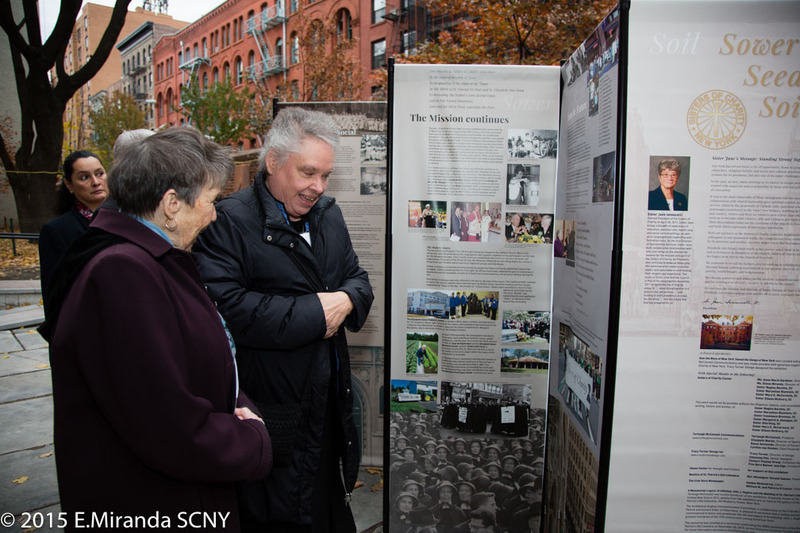 “How the Nuns of New York Tamed the Gangs of New York” can be viewed at the Basilica of St. Patrick’s Old Cathedral, Mott and Price Streets, until January daily from 6 a.m. until 9 p.m. Visit www.oldcathedral.org.